This is one of two key fundraisers for the cheerleading program and requires a significant amount of volunteer support. Running the Visitor Concession Stand is the responsibility of Junior Varsity and Middle School families. While we can not "require" it, we do request and expect 100% participation from families. In the future when your daughter is cheering at the Varsity games, you will have already served and be able to watch rather than work the concession stand. Each JV and MS cheerleader should be represented by an adult over 18 in the concession stand for a minimum of one full game (or two halves) over the course of the season. First half volunteers: Please arrive 30 minutes prior to start of game and remain thru half-time if needed. If you are only working the concession stand, you will not need an admission ticket. However, if you plan to enter the main stands for the other half of the game, you will need to present/purchase a ticket. 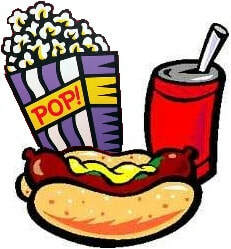 All PRCPA families (Varsity, JV and MS) donate $50 each year to help stock the concession stand. If families are unable to pay the concession fee due to hardship, please contact the PRCPA Treasurer.